Sportswear at the next level! Developed by medi, the world leader in medical compression products with more than a half-century of experience, CEP compression socks, calf sleeves are specifically designed to assist athletes with improving performance and accelerate recovery. Compression can be used during activity or after. Benefits include increased circulation, better oxidization of muscles, and decreased lactic acid build up. It will help you perform with less perceived effort during, and help your body repair itself so you can train comfortably again tomorrow. With many different styles and fits our staff can help you choose the right compression piece for your training. 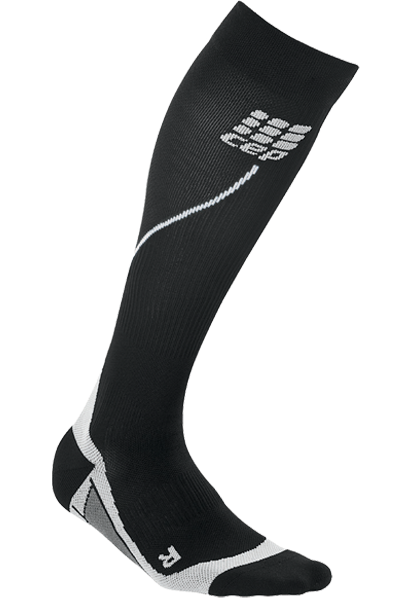 CEP also offers Recovery specific products - socks, knee highs & full tights.